This will be made available to you while all of your transactions will be strictly private and confidential. We attend every major auction and many other events throughout the year and are happy to inspect your potential purchase in person. We will handle everything from beginning to the end, so you can experience the enjoyment without the stress. We start with an initial inspection and history search of the particular motorcycle. This research is important to ensure you get what you pay for. After this step we are happy to give a market opinion and then handle the entire negotiation process on your behalf or be your auction representative. After the successful purchase, motogpwerks is happy to set up shipping to the customer or back to our facility for any restoration or any service that may be required or requested. We have had the privilege of doing business all over the world and, no matter your location, can arrange transport to wherever you live. We also manage collections for service and display purposes. Whether you are looking to build a collection yourself or just looking to add a few special vehicles to your stable, please feel free to contact Christopher Redpath Motogpwerks. Motogpwerks has been buying the world’s finest and rarest collector cars for over 8 years now and continues to do so. 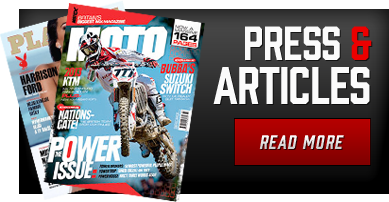 Motogpwerks provides the ability to market your motorcycle to our network of global buyers. Once you’ve made the difficult decision to sell your beloved collector motorcycle, the real work begins. Do you send it to an auction? Live or online? A classified ad or two? Take it to shows with “motorcycle corrals” that feature everything from old cars to vendors. Consignment is a smart choice. Auctions put your motorcycle in front of a small pool of potential buyers for an average of two minutes, while consignment puts your car in front of the entire world without a time limit. With auction fees, sellers usually net only 80% of the actual transaction price due to buyer and seller premiums, and those prices are subject to the whims of a limited audience. With consignment, your motorcycle doesn’t sell unless you agree on the price, and our commission is a fraction of the premiums charged by the auction houses. Classified ads and online auctions may generate a lot of interest, but a vast majority of that interest will be from curiosity seekers, scammers, and tire-kickers, not actual buyers. What is your time worth? 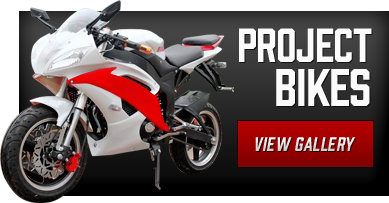 We tailor each consignment program to the special needs of the motorcycle and its owner, so that all parties are assured the attention they deserve. The motorcycle is marketed through our exclusive channels with far greater breadth and scope than the average seller can afford. Our full-time staff is available to answer questions, talk about financing options, trades, and a myriad of other things that an average seller simply can’t offer. We handle the transaction paperwork, saying you the trouble of finding a notary on a Sunday afternoon and eliminating the paper chase involved with the titles on many old vintage/race motorcycles. Because of all this, Motorgpwerks is frequently able to achieve full market value for your investment and that means greater profits with fewer headaches for you, the seller. Consignment is simple. 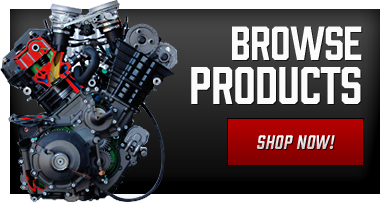 We encourage consignors to provide all the documentation, accessories, and parts that will be sold with the motorcycle. Not only do these items add value, they build confidence for the buyer. We can arrange shipping, or you can bring the motorcycle to our facility. We encourage you to contact us to discuss your options, and allow us to show you how simple, painless and profitable consignment with motorgpwerks can be.